Welcome to Ironwood Country club at Sun Lakes! 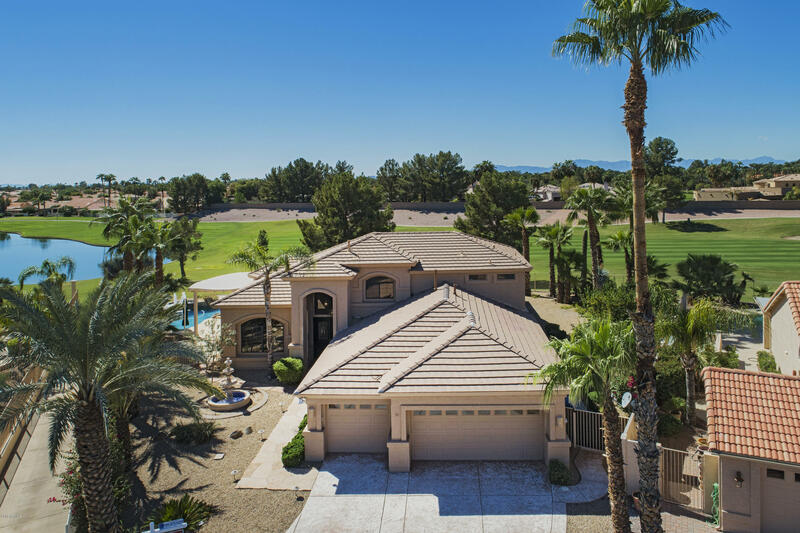 This luxurious guard gated community was designed for active adults & is among the most desirable retirement destinations in the valley thanks to its combination of mature landscaping, diverse amenities & in-town location. This exquisite home is located on one of the premier golf course lots in the community with stunning views of hole #1 fairway & the adjacent pond. The floorplan is light, open & ultra-comfortable with master bedroom suite on the first floor & 2 private guest rooms upstairs. This home features beautiful upgrades & it is move-in ready with fresh designer paint, & new carpet in the bedrooms. The resort style backyard is perfect for entertaining with large patio (with security shutters), BBQ area & an immaculate pool. The community features fabulous amenities including golf courses, fitness, tennis & pickleball, softball, pools, trails & so much more, all of which allow you to connect with your neighbors, discover new interests and enjoy the best time of your life.